Heating your koi pond has a number of real advantages, and it may not be as expensive as you think. What is in it for your koi? Heating your pond will relieve a lot of stress from your koi during the cold winter months. Koi can survive in very cold water, but it doesn’t mean they like it. This is obvious by their lying still and in one position on the pond bottom for days on end, hardly showing interest in anything. Because they are not eating through much of this period they can consume a lot of their body weight. This presents a challenge in the spring as the water warms up. When the water temperature reaches approximately 52 degrees, any parasites and bacteria that might be in the pond start to become active. Unfortunately a koi’s immune system doesn’t become active until the water temperature reaches approximately 58 degrees. This means that during this period, which can sometimes last for several weeks, the koi are not only weakened by not eating for much of the winter but are also somewhat defenseless. This time period is often referred to as “aeromonas alley” by some. This is because aeromonas (a common flesh eating bacteria that affects koi) is allowed to infect your koi without much resistance on the part of the koi. Additionally, if one of your koi does gets sick during the winter it can be hard to effectively treat it without being able to warm up the koi. If you have a small sick tank with a heater on it you can move the sick koi to this sick tank and gently warm up the water for treatment. But, what do you do if your whole collection gets sick and your sick tank is not big enough to hold them all? With a heated pond both you and your koi are able to avoid all these potential problems. Heating your pond can also take a lot of stress off of you. You are in control of the pond rather than the pond controlling you. You don’t need to worry about pipes or equipment freezing. You know your koi are not being stressed by extremely cold water. You know you can take care of your koi if any get sick. You have the confidence that spring time will not be an issue for your koi. Additionally, you get to enjoy your koi all winter as you feed them and watch them grow. Here is where you can have a lot of control over your heating cost. By balancing your heating desires with how much it costs to heat your pond you should be able to settle on a heating program that, to a reasonable degree, fits the needs of both you and your koi. 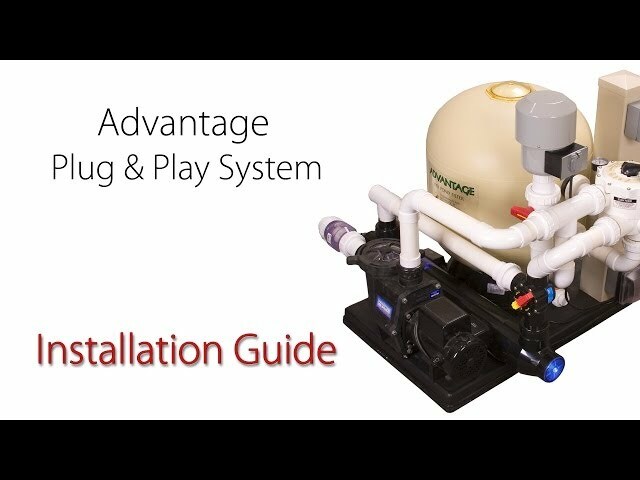 The following are some examples of how you might use your pond heater. You can just set the heater to maintain a minimum temperature all year long and then don’t touch it. This means that in the fall as the water temperature drops below that minimum temperature the heater will automatically come on and prevent the pond temperature from ever dropping below that set temperature. In the spring as the outside temperature raises enough to cause the pond water temperature to rise above that set temperature, the heater will simply shut off for the summer. If you choose to operate your heater this way, the temperature you choose is important. If you set the pond temperature at 68 degrees your koi will love you. They will continue to keep extremely active and eat like pigs all winter long. If you set your pond temperature at 62 degrees your koi will still be happy but will not be e as active. This lower temperature could save you at least 25% on your pond heating bill. You could set the heater to maintain a minimum pond temperature of 50 degrees for most of the winter. This will allow the koi to go dormant. They will not be pleased with you but they can survive well at 50 degrees. This prevents the water from dropping into the stressful temperatures below 40 degrees where the health of the koi becomes an issue. Then in the spring as the water temperature naturally rises to about 55 degrees you can use the heater to gently, over a two day period, raise the pond temperature to 65 degrees. 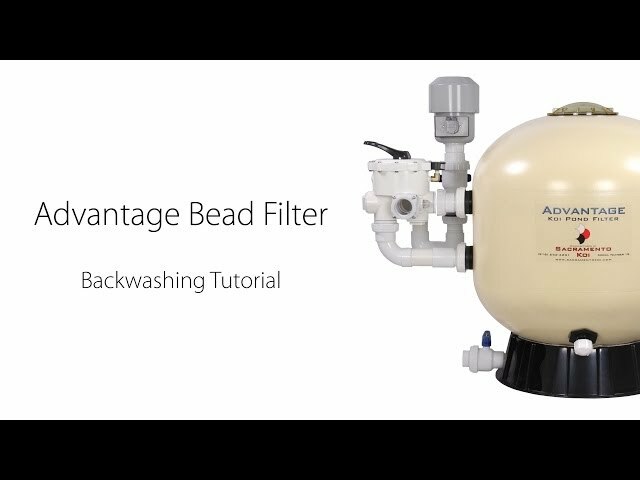 This will allow you and your koi to avoid the period where the parasites and bacteria become active while your koi’s immune system is not. This is probably the most economical way to use your heater while still providing a great benefit to your koi. You could just use your heater as an emergency tool. This means that you might go through the whole winter without using the heater once. But, if you did experience a health issue with one or all of your koi you have the ability to gently warm up the pond water to a temperature sufficient to treat the problem. Additionally, if your koi were to ever come in contact with the KHV virus, you have the option to raise the pond temperature to 86 degrees which, to date is the only hope of stopping the virus from quickly killing all your koi. Note; Keep in mind that you never want to raise the pond water temperature more than 5 degrees a day or lower it more than 3 degrees a day. Sick koi respond to treatment very well at water temperatures between 65 and 72 degrees. It is important to remember that as you increase the water temperature to stimulate your koi’s immune system you are also stimulating the reproduction of any parasites or bacteria in the pond. Therefor, any scheduled treatment should be started as soon as possible. The efficiency of a heater can be a make or break issue for heating your pond. If the heater is so inefficient that you can’t afford to operate it, you have wasted your money. Make sure the efficiency rating is as high as possible. Also, consider how far away from the pond the heater will be and does it use a heat exchanger. Heat exchangers, though efficient, still loose some efficiency in the exchange process compared to directly heating the pond water. The heater needs to be extremely dependable. An important part of heating a koi pond is to reduce the stress on your koi. If, in the middle of winter, the heater stops heating for some reason and suddenly the water temperature starts dropping, this can be extremely stressful to your koi. A 20 degree drop in temperature over a few days can be life threatening to a koi. Gas heaters seem to have an advantage over electric heaters, not only because gas in general is cheaper than electricity but also because gas supply is seldom a problem. If during the winter you experience an electrical outage both a gas and an electric heater will stop heating. The difference is that a gas heater typically requires less than .5 amps to keep the electronics working whereas an electric heater, like a heat , may require 40 amps or more to operate. 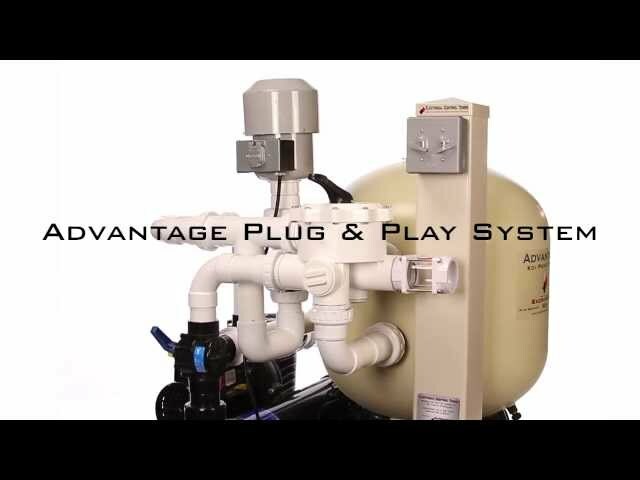 In an electrical outage with a gas heater, all you need is a small gas generator, that you can pick up with one hand and will run for hours on a gallon of gas to keep the pond heater operating. Copper is toxic to koi. At high levels copper can kill koi but even at low levels it has been proven to greatly lower their immune system making them more susceptible to getting sick. Many heaters use copper for their heat exchangers because copper transfers heat exceptionally well. Copper is especially problematic with heaters because as the copper is heated to high temperatures is sheds copper into the water much faster than a standard copper pipes would. Look for a heater that will maintain the temperature within a couple of degrees. Some heaters are only capable of maintaining the water temperature within a 5 degrees range. That means that the heater will bring the pond water temperature up to say 62 degrees and then shut off. It will not come back on until the temperature drops below 57 degrees. 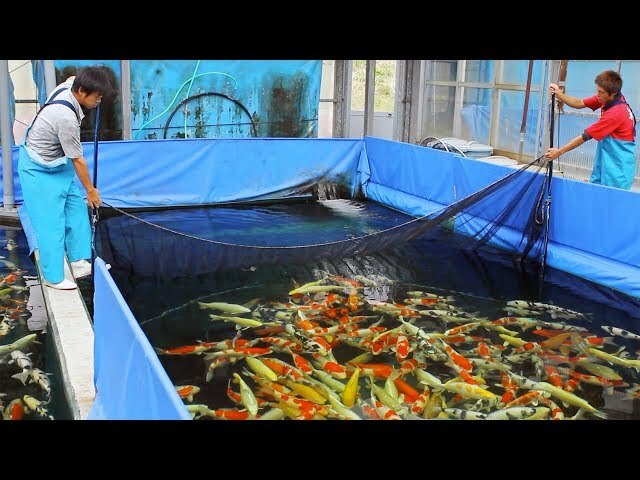 That can be very stressful to koi on a day in and day out basis since, ideally, you do not want to lower the water temperature more than 3 degrees per day. 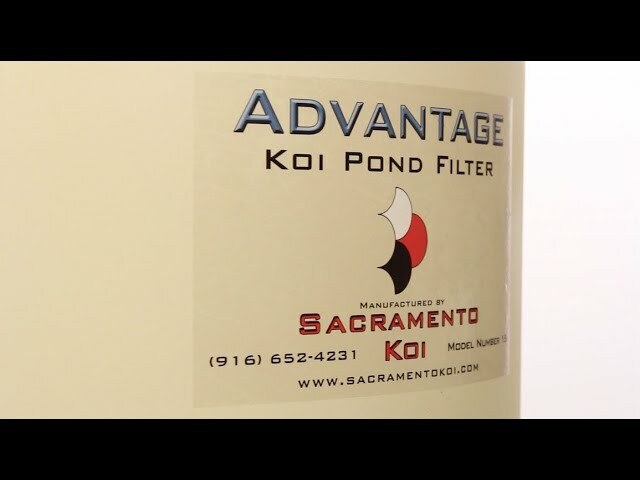 If you are one of those people who really enjoys the whole koi experience, heating your pond may be just the right pond improvement you have been looking for. Heating your pond will double the amount of time you will have to enjoy your koi and greatly reduce the time you spend worrying about them. The confidence you get by knowing you have so much more control over your pond plus the way a heater can simplify caring for your pond over the winter can have a profound effect on your whole koi keeping experience.